I'll admit to it. I fell in to a malaise. The regular season kind of sucked, with a few high points but it was going through the motions. It seemed the same with the Penguins and it made me worry. That's done, now. I'm ready to feast. 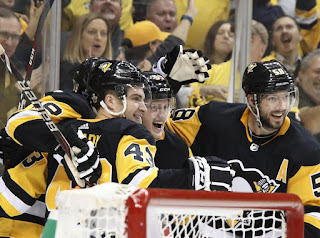 If the Penguins could have scripted a better opening to the playoffs to silence your concerns, it would have followed exactly as it went last night. Secondary scoring woes? Here's Bryan Rust. Goaltending worries? Have a third straight shut out from a strong looking Matt Murray. Defensive doubts? Here they are, looking at fit as can be. Maybe they can flip the switch after all. Maybe they do know how different it is to play when it counts and have been waiting to prove it. Maybe they know how to save some gas in the tank and were just laying in the weeds waiting. Maybe they can do this after all. I'm now a 3eliever. 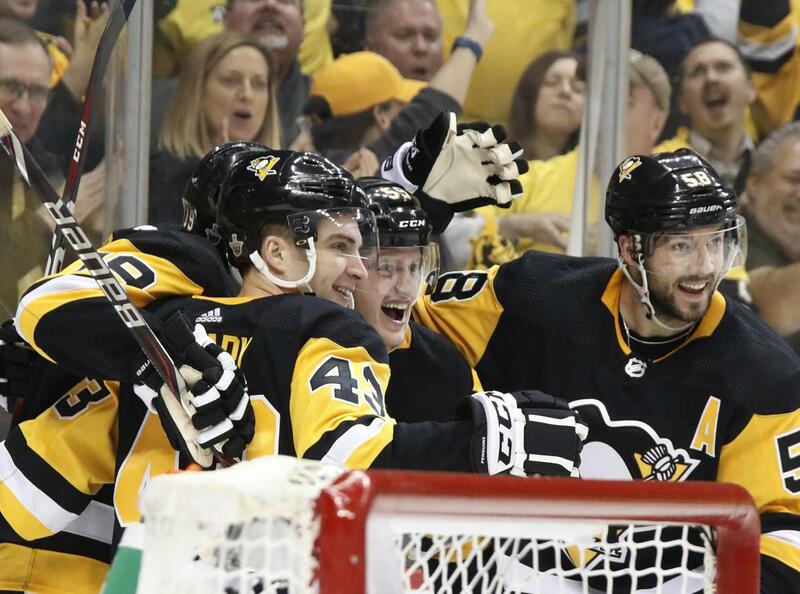 Hallelujah praise Penguins Jesus amen. I'd talked myself in to being fine without a three-peat. The odds of back-to-back are slim in this day and age of parity, as well as the partial gutting of the team in the off season due to free agency and the expansion draft. I'm content to be the first team in a generation to repeat. Now I'm not longer fat. I'm no longer happy. I want more. 15 more to be exact. I'm hungry and ready to eat until June. And I'm ready to wash it down with a swig from Lord Stanley.